Pittsburgh parents are influencing a crossing guard study aimed at improving route safety to and from schools throughout the city. 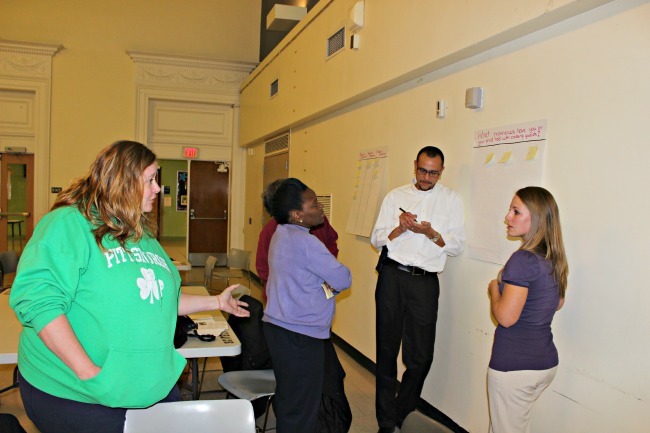 Recently, parents attending Pittsburgh Public Schools Excellence for All meeting weighed in about how the City of Pittsburgh utilizes crossing guards. They shared whether or not they thought there was an adequate number of crossing guards deployed and if they felt safe letting their child walk to and from school. The facilitators collected valuable information from parents during the interactive session. Many parents shared stories about their relationships with crossing guards growing up. 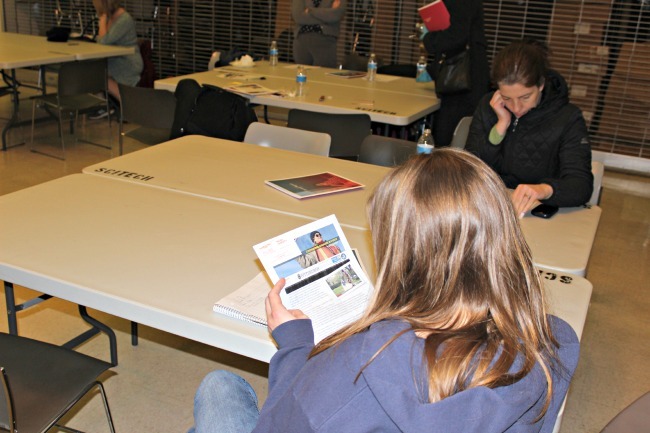 The focus group is just one of several being conducted as part of a crossing guard study led by Allies for Children, the United Way of Allegheny County, the City of Pittsburgh and the University of Pittsburgh’s Office of Child Development. The study aims at identify safety improvements and practice changes. Additionally, it will examine how crossing guards, who are often the first uniformed individuals young people encounter, can serve multi-functioning roles. Research will result in evidence-based recommendations made to the City of Pittsburgh in February 2015. The study will focus on three key areas: deployment, equipment and professional development. Researchers will analyze the professional development opportunities and consider if crossing guards could serve as natural mentors for children and youth. The absence of a safe route to and from school poses a roadblock for many students. Better deployment strategies, improved connections to the Department of Public Safety and increased professional development opportunities could enable crossing guards to play an even more vital role in the safety and wellbeing of children and youth. For information about sharing your crossing guard stories and participating further please email Allies for Children Research Associate Mara Christy at mara.christy@alliesforchildren.org.